This project aims to create a blueprint for improving coffee yield, quality and sustainable practices in Jimma A, Sidama A and Lekempti which can be replicated across other regions of Ethiopia in the future.Through this project, farmers are trained on coffee agronomy best practices and hulling stations are trained on improved sustainability practices. Farmers are trained in small, self-selected groups (30-35 farming households per group). These groups partake in activity-based lessons in field-based classrooms and using demonstration plots to see the results of implementing Good Agricultural Practices (GAP). Lessons are delivered by local trainers. Hulling stations will undergo a training program to create awareness of sustainability, including a sustainability self-assessment. An important part of the sustainability training is a solution to the build up of husk waste at hulling stations. Moreover, the project will work with the Ethiopian Commodity Exchange (ECX) to improve traceability of sustainable coffee. 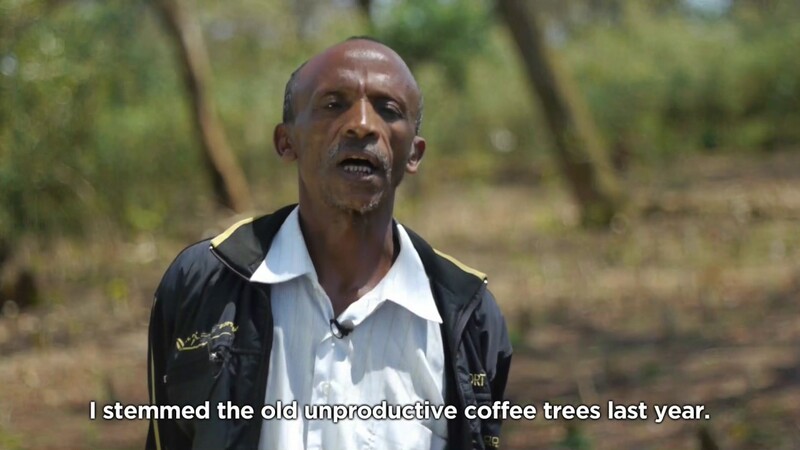 The project builds on previous successful initiatives to train smallholder coffee farmers on improved agronomy practices and success in implementing improved sustainability practices at wet mills.